I have always made it a point in life to look to those ahead of me and follow their lead. It’s no different when it comes to racing; in fact some of the best racing tips I have ever gotten were from my competitors who beat me to the finish line. That would include my friend who is an amazing runner, Jesse Santana. Jesse recently entered into my age group, so when I see him at the start line I know it’s going to be a hard race for me. A few months ago I got with my friend Jesse after a race and asked him how he got so fast and what ignites the fire within him when he races. His reply, well it came with a loving answer and in the name of his son Andrew. Modesto View Friends, Team Challenge helped Jesse through a most difficult time and even though nothing will ever take away the pain of loosing a loved one from cancer, Memorial Medical Center’s Team Challenge just might be a team that could comfort you if you’ve experienced such a tragic loss or are even in the fight of your life against cancer. As for Jesse’s exceptional running skills, you might say they where rekindled through Team Challenge because at age of 12 he broke the national age record for a 10K with a time of 36:01. Jesse shared with me that he’s only been running off and on since he was 11 years old but never had the motivation to stick with it for more than 6 months until he started training for his first marathon in 2009. 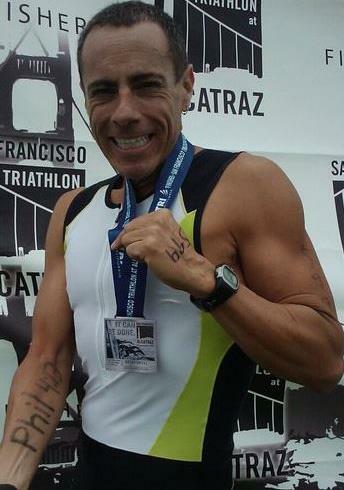 He hasn’t taken off more than 2 weeks from running and that’s usually only after a marathon. 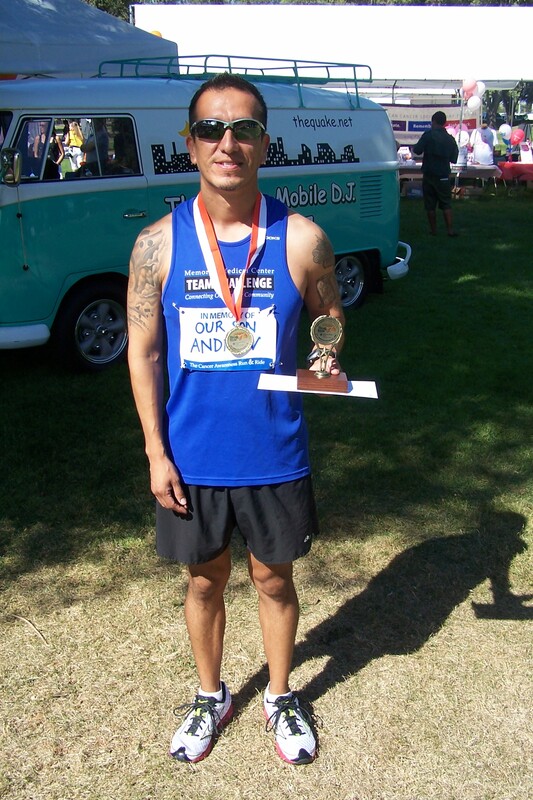 Some of Jesse Santana’s fastest races were recently at the Wine and Cheese race last October. He ran a 5K in 16:49. 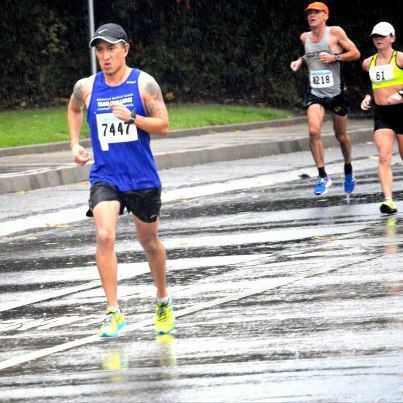 Jesse is not just amazingly fast in short races such as a 5K; he recently weathered the awful storm that hit at The California International Marathon last December. With winds gusting as hard as 40MPH during the race and the sheets of rain that where coming down sideways, Jesse still managed to pull a finish time of 2:52.51. 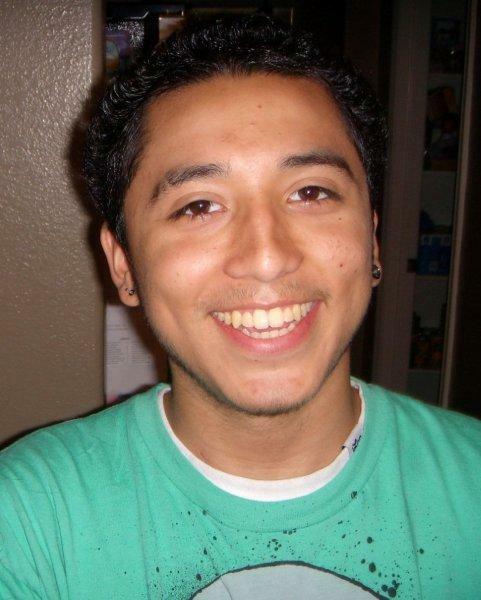 I asked Jesse to share a final thought with all our Modesto View Readers. 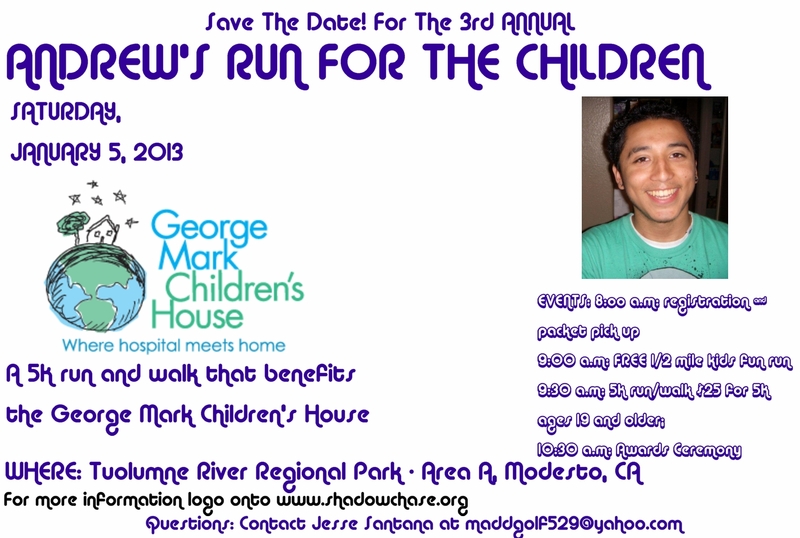 January 5th 2013 9:30AM, a 5K run/walk that benefits the George Mark Children’s House. For a 5k it’s best to start hydrating the day before as opposed to a half or full marathon which I’ll start the week of the event. Just before a race, try to get in 8 to 10 ounces of water in. Pre-race nutrition. The morning of, keep it simple with some toast or a bagel and more H20 and some type of sports drink. 15 minutes prior to a race, Jesse warms up, stretches out and does strides prior to. He also includes a Gu energy supplement 15 minutes before the start.